What comes to mind when you think of Winter Haven, Florida? For many, it’s Cypress Gardens – Florida’s first theme park, which opened in 1936. While the Cypress Gardens property is home to Legoland today, the park’s owners have blended a bit of old and new and restored portions of the old gardens to maintain this significant part of Winter Haven history. 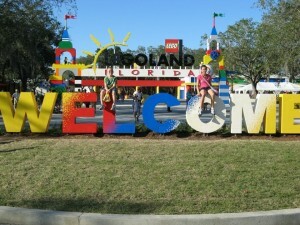 Today, Legoland draws lots of tourist traffic to the area. As you will discover if you’ve recently moved or plan to move here soon, there is so much more to this thriving city. There is a small town hustle and bustle that makes Winter Haven a great place for residents, whether they are starting families, working professionals or enjoying their retirement years. You’re in the heart of the Sunshine State, and Winter Haven residents know how to beat the blazing summertime heat and sticky humidity with this name: Andy. 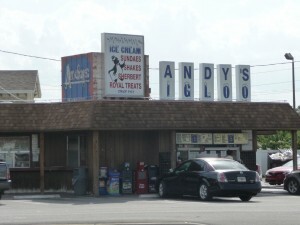 You may never drink a better milkshake than the frozen goodness you’ll find at Andy’s Igloo. From its nostalgic neon sign to its mountainous banana splits and tasty steak-burgers and fries, a visit to Andy’s makes you feel like you’ve walked onto the set of Happy Days. Few things are more enticing to residents and visitors alike than a vibrant downtown area, and Winter Haven’s downtown offers a wide variety of unique retail shops and non-chain dining options. From Scores Family Sports Café and Bistro Pizza to Arabella’s, El Olivo Mexican Restaurant and Tsunami Sushi, there is plenty to choose from when it comes to grabbing a bite to eat. Activity downtown centers around Richard’s Fine Coffees and Winter Haven Public Library where you can check out a book or purchase one from the used bookstore before settling in with a cup of coffee at Richard’s. We can’t talk about food without mentioning dessert: try Favor Bakery, with its gourmet cupcakes and cakes for special occasions, and Gourmet Goodies, a bakery that has more than 45 flavors, which range from strawberry cheesecake to maple bacon. They offer 10 to 15 cupcake flavors daily, as well as coffee, gourmet cookies, brownies, gourmet caramel apples and other specialty desserts. Visit an eclectic array of businesses such as The Shop, filled with fine merchandise and curiosities; Helen’s Ladies Specialty Shop; and Andy Thornal Company, which has outfitted folks for all of life’s occasions for more than 60 years. Central Park downtown is part of the Florida Outdoor Sculpture Competition, and sculptures on display there change annually. There always seems to be something going on here, from the monthly Pickin’ in the Park musical performances, Praise in the Park church band performances, and Dulcimer Night. The Central Park Art Festival is held annually in March. Meet the Author on the Park is held in April, and gives residents an opportunity to meet local authors and illustrators and purchase books. Water skiing- Ever been to ski school? Here’s your chance. Instructors assure you they will have you up on skis the first day. You’ll be zipping across lakes in no time. Ecotourism- Either bring your own kayaks and paddleboards, or take part in ecotour opportunities from companies such as Wildleigh Ecotours, which offer kayaking, paddleboarding and pontoon tours. Flyboarding- This is a new extreme watersport that enables you to rocket 45 feet out of the water, swim like a dolphin, or surf the sky. Absolute Water Sports can hook you up! Boating- You can put in at one of a number of municipal ramps and ride to one of several waterside restaurants, including Frank & Manny’s Harborside on Lake Shipp and the Idle Zone on Lake May. Speaking of boating, Winter Haven offers a fitting twist to Christmas festivities: the Christmas Boat Parade. It’s a rich tradition where boaters “deck the hulls” and parade through Lakes May, Shipp, Howard and Cannon every December. Lots of people think of theme parks and beaches when they think of Florida life. But those of us who live here know that opportunities to get out and enjoy nature are plentiful. Winter Haven is home to several nature parks, including the South Lake Howard Nature Park, the Lake Maude Nature Park, and the Lake Hartridge Nature Park. They include paved walking and biking trails, parking areas, and opportunities to observe wildlife. The Chain of Lakes Trail features more than three miles of asphalt trail spanning from downtown Winter Haven to Lake Alfred. Nature and urban life meet at Trailhead Park located next to City Hall, which provides access to the Chain of Lakes Trail and the Winter Haven Area Transit bus terminal, park and ride commuter parking spaces, restrooms, picnic areas, destination playground, and municipal lawn and plaza. Trail users may start at this park on the Chain of Lakes Trail and access many of the city’s parks and loop trails via sidewalk connections. We can’t talk about Winter Haven without mentioning the arts, as they play an integral role in all great communities. Theatre Winter Haven is an award-winning theatre recognized on state, national and international levels. The Ridge Art Association and the Ritz Theatre also are artistic staples. The Ritz hosts film festivals, live performances, and a variety of special events. It’s also available for rentals. This isn’t an exhaustive list, but it’s certainly enough to help you get plugged in to your new hometown. Enjoy! 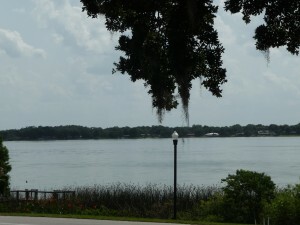 I hope I have enticed you to this small town big fun Winter Haven Florida. Check out this video about Winter Haven Florida, if you are interested in looking at homes in the Winter Haven area, just click the link above to start your search.